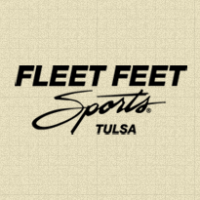 Fleet Feet Tulsa is locally owned and operated by Lori and Tim Dreiling. Both are graduates of the University of Tulsa and Memorial High School and have been involved in Tulsa’s running community since moving back to Tulsa in 1992. They have one son, Drew, who recently graduated from Riverfield High School in Tulsa. Tim ran track and cross country in high school and has participated in numerous races from 5k’s and 10k’s to half marathons and marathons. Tim has run over 20 marathons, including the Berlin Marathon. He needs to just finish the London Marathon to have done the “Five World Marathon Majors”. In 2006 he joined with other Tulsa Fleet Feeter’s to form Team One that participated in the Wild West Relay in Colorado where his team covered 195 miles in 28 hours. 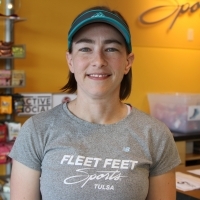 Lori, a native of Tulsa, started running in College to stay in shape and has since completed six marathons (ran five and walked one) and numerous half marathons, 5k’s, and 10k’s. She ran the New York City Marathon in November 2010 and has recently turned into a walker (due to knee injuries). She most recently completed the Las Vegas Half Marathon in December 2012 and the Route 66 Half Marathon in the fall of 2015. Tim and Lori now own 3 Fleet Feet stores in the Tulsa Metro area. In July 2010, Tim and Lori opened their second store (the Fleet Feet Blue Dome Store) in downtown Tulsa to service the downtown/mid‐town and surrounding suburbs of Tulsa. This second store was also opened to provide an expanded platform for the training programs. And in June 2015, Tim and Lori opened their third store in the ROSE DISTRICT in downtown Broken Arrow. This new store is already experiencing growth since it serves the largest suburb of Tulsa (Broken Arrow), as well as the surrounding communities (Bixby, Coweta, etc). Tim and Lori own three Fleet Feet Stores in the Tulsa area. They are excited to bring all their training programs, clinics, special events, and expertise to the Broken Arrow community. To stay up with all the latest happenings at each of Fleet Feet’s stores, be sure to Friend us on Facebook. New events are forthcoming across all the stores! What I love most about working at Fleet Feet: The combination of work and fitness. It's an amazing place to be. Interesting Fact about me: I really like coffee and roast it and brew it at home any chance I get! Fitness Goal: I'd like to run as fast as I did in high school. What I love most about working at Fleet Feet : I've made a lot of my closest friends working here - and the fact that they all have fitness on the brain helps keep me motivated! Interesting Fact about me: I'm a member of the Tulsa German Shepherd Club with my dogs, Thor and Freya. Favorite Product: Anything Icebreaker and Saxx Blacksheep. 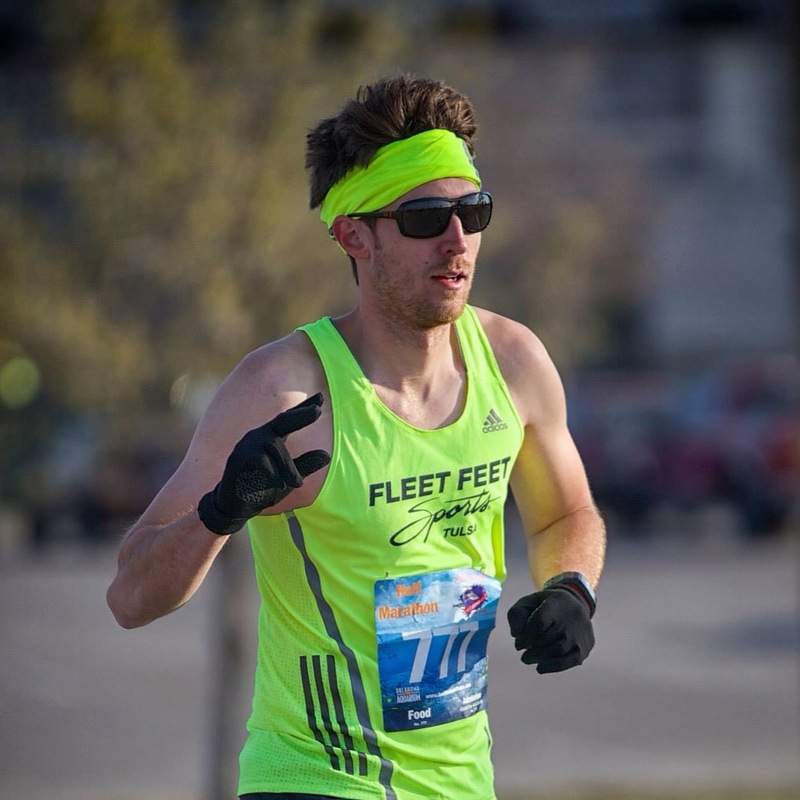 What I love most about working at Fleet Feet : Working with runners everyday and hearing/seeing all the success stories. What I love most about working at Fleet Feet : Helping people meet their fitness goals, and the team I work with! Interesting Fact about me: I'm a former ballerina! Fitness Goal: To run a 100 miler! What I love most about working at Fleet Feet : I love the fit id - getting to show people what we look at is pretty neat, in my opinion! Interesting Fact about me: I'm a big nerd! I love comic book conventions! Fitness Goal: To complete my first Half Marathon. Favorite Product: Balega Hidden Comfort socks. I'm Obsessed! What I love most about working at Fleet Feet : I love to meet new people and hear their stories. Interesting Fact about me: I can juggle and yo-yo, but not while running. Fitness Goal: Another sub 3 hour marathon. What I love most about working at Fleet Feet: I get to talk about running and running gear every day. Interesting Fact about me: I can juggle - the most I've juggled at one time is 8 objects! What I love most about working at Fleet Feet : meeting so many people that are making healthy life choices to be more active! What I love most about working at Fleet Feet : I get to help people find their right FIT and share information that would benefit their wellness goals. What I love most about working at Fleet Feet : it's fun! It's new! It's different every day - it keeps you on your toes! Interesting Fact about me: I love to read recipes & training programs. Interesting Fact about me: I love peanut butter, long runs, and 80s music. What I love most about working at Fleet Feet : The staff and super cool products! Interesting Fact about me: I have a pet gerbil named Ferdinand! Fitness Goal: Get my 5K time down and train for more races! What I love most about working at Fleet Feet : I love helping people! Interesting Fact about me: I am a premed student. Fitness Goal: to be in better shape all around. What I love most about working at Fleet Feet : getting to work for and with people who care! Interesting Fact about me: I didn't start running until I was 55. What I love most about working at Fleet Feet : It's going to be educational and fun! Fitness Goal: to keep improving my 5K time! What I love most about working at Fleet Feet : It's fun to meet lots of different people with different goals! What I love most about working at Fleet Feet : I love helping customers achieve their goals. Interesting Fact about me: I'm an actor and ordained minister! What I love most about working at Fleet Feet : I get to help introduce folks to my favorite hobby! Interesting Fact about me: I've had two knee surgeries. Fitness Goal: One day, I hope to run a marathon with my dad. What I love most about working at Fleet Feet : I love the people I get to work with and the people I get to meet each day! Interesting Fact about me: I like to play video games and read! Fitness Goal: To be able to run a 5k! What I love most about working at Fleet Feet : I enjoy the customer interactions, the atmosphere is very upbeat - and there's never a dull moment! Fitness Goal: To run a marathon! Favorite Product: everything we carry! What I love most about working at Fleet Feet : the atmosphere and the people! Interesting Fact about me: I played soccer for 20+ years and even got to play in Europe one summer. Fitness Goal: To participate in my first 10K event! Favorite Product: Shoes - give me all the shoes! Interesting Fact about me: I'm a triplet! What I love most about working at Fleet Feet : being able to work with runners and walker and for runners and walkers! Interesting Fact about me: I ran cross country in high school! Fitness Goal: Run my first half marathon in spring 2019! What I love most about working at Fleet Feet : the welcoming and fast-paced environment! Interesting Fact about me: I was born in South Korea. Fitness Goal: To run another 5k this year. What I love most about working at Fleet Feet : Working in a fun environment. What I love most about working at Fleet Feet: The atmosphere of Fitness! Interesting Fact about me: I'm going back to school at 35! What I love most about working at Fleet Feet : Getting to talk about running, help people with their fitness goals, and be around so many motivating individuals! I enjoy being a program coordinator because: I get to help runners and walkers take their training a step further! My fitness goal is: one more marathon - lots more half marathons! I enjoy being a program coordinator because: I love working with all of the participants as well as creating the schedules and course maps. It’s been fun to work with all of the coaches and to get to know more participants than I would have just coaching. It’s been especially fun to see participants “grow up” in our programs. We now have several No Boundaries runners and Walk Fit walkers who just started training with us a few sessions back and who are now training for their first half marathon. My fitness goal is: To get the rest of my body in shape. I can run, but have been neglecting other muscle groups. An interesting fact about me is: I’m an only child and I have 4 sisters (I’m my mom’s only child, but my dad has 4 other girls). I enjoy being a program coordinator because: I enjoy motivating and inspiring runners who aren’t sure they can do it. I like putting together a program I know will work for those who follow it. My favorite race is: Kentucky Derby with the Indianapolis 500 a close second. My fitness goal for 2017 is: Run at least 1 1/2 marathon and 1 full marathon. To lose 20 pounds at a rate of about a pound per week. What I love most about working at Fleet Feet: The wonderful environment. Interesting Fact about me: I love auto racing and anything to do with it. Fitness Goal: To continue losing weight and reach my goal. Interesting Fact about me: I am the only employee who is allowed to sleep in the store, and I always have a smile on my face.